Click the button below to add the Psoriasis Soften Scalp Anti-Bacterial Formula #Therapy# to your wish list. Ultra-Concentrated Scalp Anti-Bacterial Formula Potent nutritive antifungal ingredients are quickly absorbed to improve the condition of your scalp and hair follicles. This lightweight formula penetrates, taking its nutrients and beneficial properties to the source of irritation with nutritive moisture to soothe and calm instantly. Deodorizers, Manuka, Tea Tree and Oregano essential oils help balance and neutralize any unwanted odors. This Soften Scalp Anti-Bacterial Formula is made free of alcohol, artificial fragrances and free of any other chemicals that could disturb your skin's balance. Your scalp is left feeling calm, soothed and refreshed naturally. Daily or leave-in overnight formula refreshes and soothes your scalp while you sleep. Can be utilized on both men and women. Soothe and calm with nature’s best ingredients that provide nutrients to your scalp for relief. Neem Oil has been used as a medicinal herb for nearly 5,000 years. It contains azadirachtin, a compound which gives Neem oil its antibacterial, antifungal and anti-parasitic properties. Manuka Oil's medicinal uses have been known for a long time among the Maori, the original inhabitants of New Zealand. 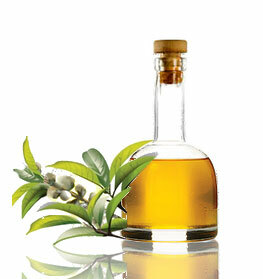 Tea Tree is an antibacterial oil that will relieve and sooth dry, irritated scalps. After shampooing and conditioning your hair, apply a small amount to your scalp. Massage your scalp gently, let the serum penetrate. This is a leave-in treatment, it is not necessary to rinse. May be used daily. Blow dry or air dry as usual. This serum may be used in combination with any other of our hair serums. • This product can be used daily. We suggest using it after shampooing and rinsing with lukewarm water. • Always try to finish your shower with the coolest water you can stand. This will make your hair frizz free and close the cuticle to make it shinier. Leptospermum Scoparium (Manuka) Oil, Melaleuca Alternifolia (Tea Tree) Oil, Calophyllum Inophyllum (Foraha) Oil, Pongamia Glabra (Karanja Seed) Oil, Simmondsia Chinensis (Jojoba) Oil, Lavandula Angustifolia (Lavender) Oil, Rosemarinus Officinalis (Camphor) Oil, Hippophae Rhamnoides (Sea Buckthorn) Oil, Vitis Vinifera (Grapeseed) Oil, Ribes Nigrum (Black Currant Seed) Oil, Azadirachta Indica (Neem) Oil, Origanum Vulgare (Oregano) Oil, Cymbopogon Flexuosus (Lemongrass) Oil, Citrus Sinensis (Orange)Oil, Tocopherol (Vitamin E). I have never been to the dermatologist, but since this condition runs in my family, I believe I likely have a mild case. This fungal product helped control flakes, and redness of my scalp. It also doesn't affect the way my hair looks or smells. I think I just might be a customer for life! This nutritive scalp product has proven to be highly effective for me in curtailing the terrible itch and red inflammation of nearly three years of struggling with inflamed skin. I consider discovering hair products with these ingredients, a Godsend. My scalp was on fire and I was miserable. It really works. Soothing and cooling. After a while, I didn't need to use it any more. This is the best scalp product I've found to alleviate the itching and flaking associated with inflamed skin. 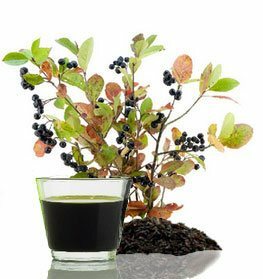 , This has been far more effective than all the OTC coal tar, pyrithione zinc, selenium sulfide and hydrocortisone shampoos and scalp products out there. I apply this product liberally every night to a clean scalp. I have rosacea and have spent a lot of money on doctors, ointments and all types of prescription medicine. Unbelievably it has been the only scalp product which has kept the redness, pimples and itch under control! Once in the morning before I put on my makeup and once in the evening before bed. REALLY! I can't believe it myself. It works wonders! Have had a terrible itchy scalp before, but not anymore! This product is simple and excellent. No strange ingredients that do nothing my scalp. I had a bad case of itchiness with flakes, and I tried this. It works, it really works. After two usages my itching is gone. This is amazing if you have itching. After years of trying off-the-shelf and prescription products, many of which destroyed my hair texture, this stuff did the trick. I use it once a week and it keeps my scalp itch free and makes my hair soft and glowing. I don't know what I'd do without it. Really.